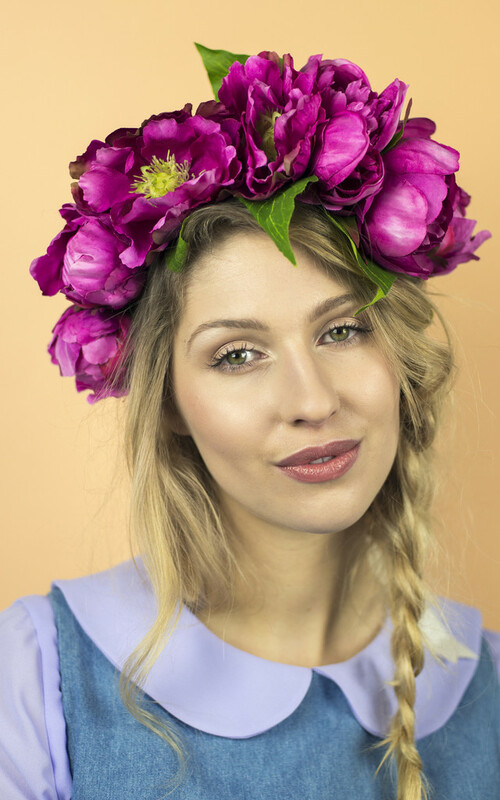 One flower crown to rule them all! 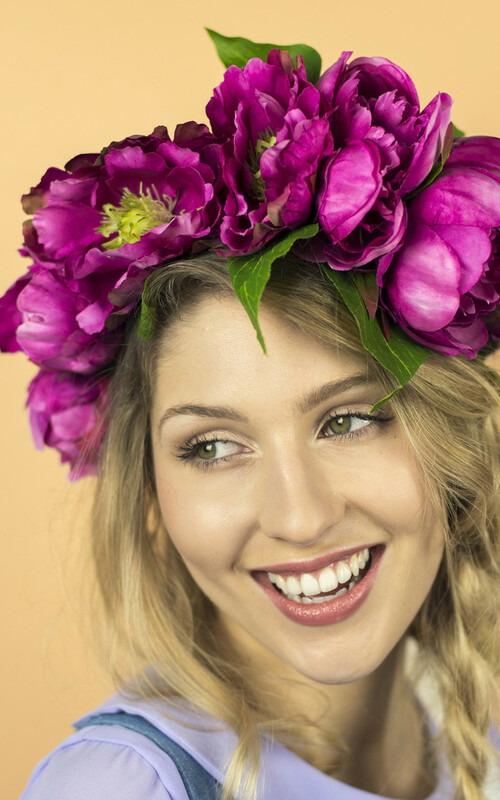 Make a serious statement this summer with our Oversized Peony Crown. Available in fuchsia, this looks best worn with a smile and a healthy dose of fun. 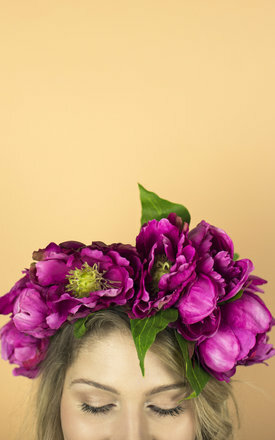 Luxurious silk peony blooms and buds on a flexible woven wire base, with delicate leaf finish and satin ribbon tie close.